Unwrella 3.18 for Autodesk 3ds Max has been updated and comes with huge UV-packing speed improvements! We have been working hard to optimize the most complex calculations for the unwrapping and packing workflow. 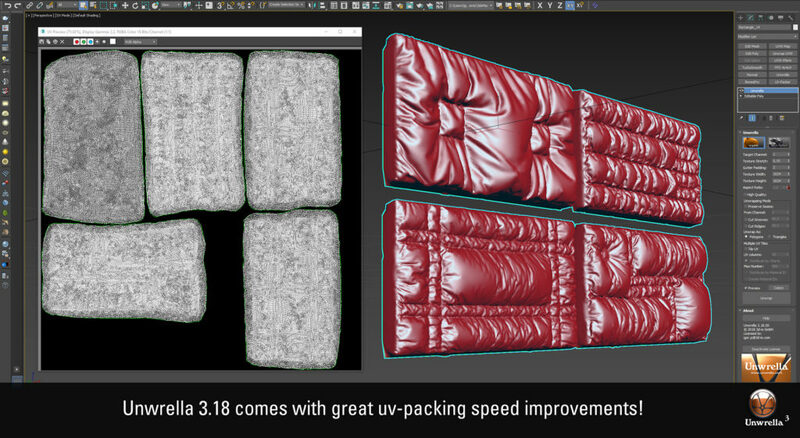 The new, free update for Unwrella offers exactly what many artists have been asking for: increased UV-packing speed! 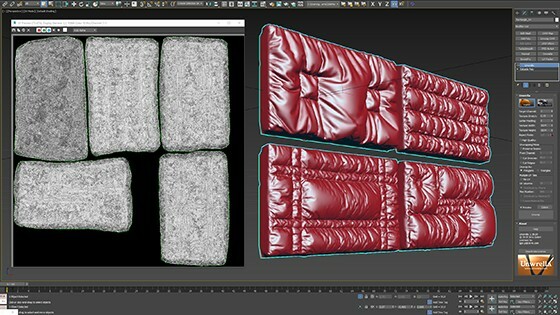 When objects have 50k+ polygons and hundreds of UV shells, 3ds Max’ default UVW-unwrapper usually has to fold. This is where the new and improved Unwrella really begins to shine, pushing UV-packing speeds to the highest levels possible. For example when using hard surface unwrapping methods, 3D artists can now create and pack their mapping data many times faster than in the past. Unwrella 3.18 is free for all customers and can be downloaded from the customer area. If you still do not own Unwrella, check the DEMO and compare it to your current workflow speed.